The range ±20V is linear and the only suggested to use. 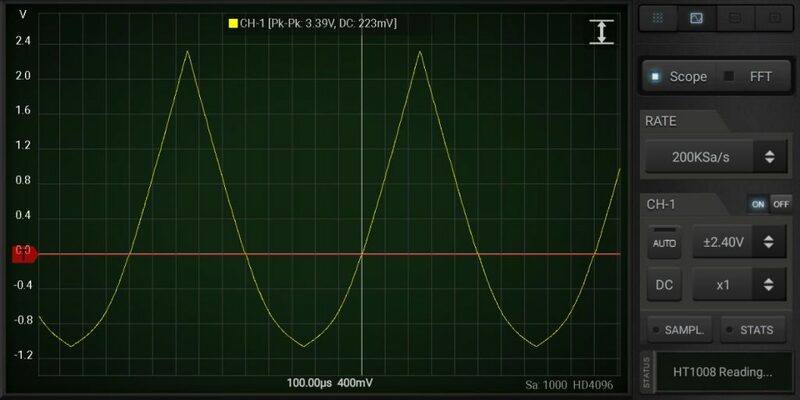 In this range the oscilloscope has a noise around 40-60 mVpp. 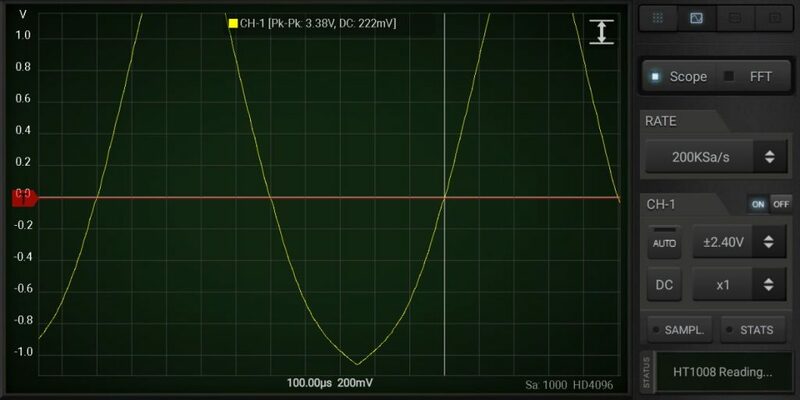 In case it is required to analyse much lower voltages then you can use the range ±2.4V that allow a minimum noise around 8 mVpp. The ±2.4V is linear just in the range -0.5V to +2.4V. The most relevant issue of this device is the voltage level drift over the time. The producer indicate to use the device after some minute from the power on to let it stabilize. On HScope it is require a regular calibration of the Zero Level on both channels to avoid errors up to 50mV on readings.